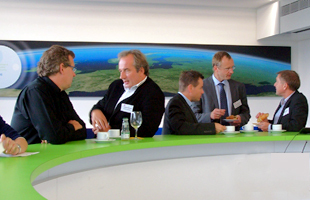 The first of five FINESCE Innovation Events successfully took place in Berlin. Several innovative SMEs and start-ups swapped ideas with FINESCE partners on business ideas and IT concepts regarding FINESCE trial sites. Beyond that current information on the Open Call were provided. For questions regarding the Innovation Events please do not hesitate to ask and contact us!